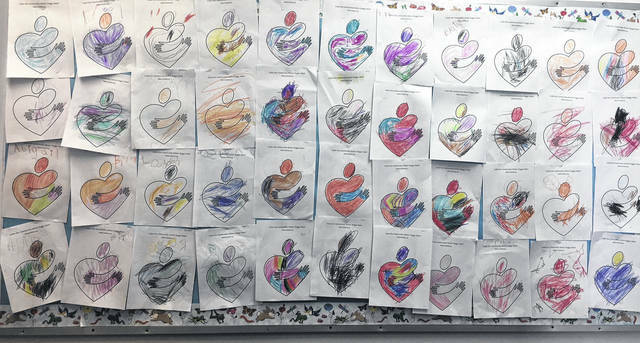 In recognition of May as National Community Action Month, the Head Start Program had their students color “huggy hearts” as a way of helping celebrate the good things they do right here in the community. Many “huggy hearts” were created and hung up to show support. 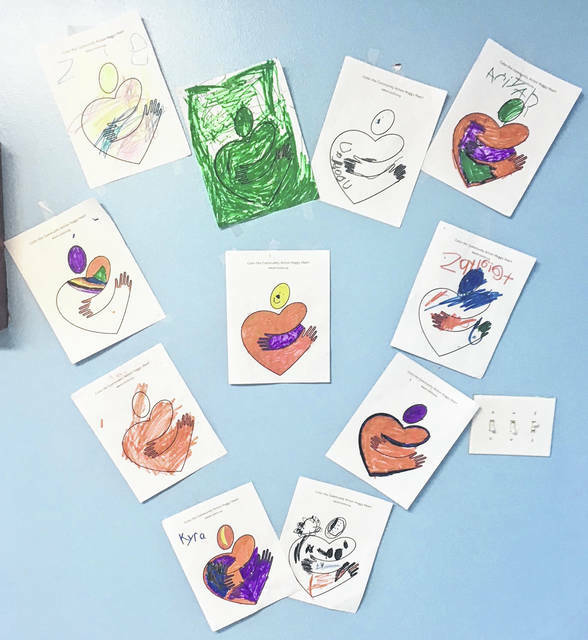 In recognition of May as National Community Action Month, the local Head Start Program had their students color “huggy hearts” as a way of helping celebrate the good things they do right here in the community. America’s Community Action Agencies connect millions of children and families to greater opportunity, transforming their lives and making communities — and the nation— stronger. This month, Community Action Commission of Fayette County has engaged in programs and events that showcase their innovative work right here in Fayette County. The Head Start Program was created in 1964 by President Lyndon Johnson as part of his plan to attack the “War on Poverty.” Head Start serves children 3-5 years-old. The local program, Fayette County Early Learning Center, currently serves 148 children in preschool centers located in Washington Court House and Jeffersonville. The program is an income-based program working with the family as a whole to support the development of their children to be prepared for kindergarten. Early Head Start (EHS) was added in 1995 to serve pregnant moms and children, birth through 3-years-old. The Early Head Start Program serves 75 pregnant moms and children through weekly home visits. The EHS program also has socialization twice a month to build social development. Additionally, Community Action partners with Rock-A-Bye Early Learning Center in Fayette County, Sunrise Sunset in Highland County, and Champions in the Making in Clinton County to enhance the quality of services they provide to children and families. These programs are all center-based, birth through 3-year-old services and there are 60 children served within all three counties combined. Fayette Early Learning Center provides comprehensive services to the child and family that include social services, health, mental health and education. They are currently enrolling for the 2018-2019 school year in both Head Start and Early Head Start. Please contact a staff member at (740) 335-7138 with any questions. https://www.recordherald.com/wp-content/uploads/sites/27/2018/05/web1_IMG_5247.jpgIn recognition of May as National Community Action Month, the Head Start Program had their students color “huggy hearts” as a way of helping celebrate the good things they do right here in the community. https://www.recordherald.com/wp-content/uploads/sites/27/2018/05/web1_IMG_5212.jpgMany “huggy hearts” were created and hung up to show support.